Father’s Day festival is celebrated on the third Sunday of June and therefore, the date of the festival is never fixed. People celebrate the occasion by honouring their father and expressing affection for them by presenting popular gifts like cards, flowers, chocolates and necktie’s. Little children often give handmade gifts to their dad. Several clubs, schools and cultural societies in United Kingdom organise Fathers Day parties and get-togethers and provide people an opportunity to celebrate the day. Games and fun-filled add joy to such celebrations. Father’s Day festival is considered extremely important as it help acknowledge the contribution of fathers to individual families and to societies as large. 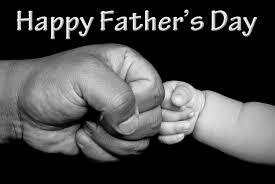 Besides observance of Father’s Day provide children an opportunity to express love and respect for their fathers. The sentiment goes a long way in strengthening father-child relationship and consequently in the emotional development of a child. The idea of celebrating Father’s Day Festival was given by Ms Sonora Dodd a loving daughter from Spokane. Her father Henry Jackson Smart single-handedly raised Sonora and five of her siblings after the death of her mother during childbirth. When Sonora attended a Mother’s Day Sermon in 1909, she thought that if there is the day to honour mother then there should also be a corresponding day to honour fathers. Sonora worked relentlessly for years to ensure that the idea of Father’s Day became reality. In 1924 President Calvin Coolidge first recognised Father’s Day. In view of the massive popularity of the festival, in 1972, President Richard Nixon established a permanent national observance of Father’s Day to be held on the third Sunday of June. Many people laughed at Sonora Dodd when she gave the concept of having a Father’s Day, as traditionally, only mother is regarded as the sole nurturer of a child. The role of father is often relegated to a secondary status as compared to a mother. But all of us know that a father is just as important for a child as the mother is. If mothers are the heroes of child rearing, significance of father in the development and emotional well being of a child is no less. 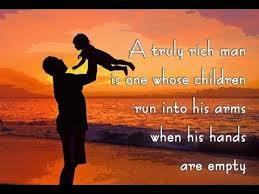 Children depend on their father for their spiritual, emotional, physical, financial and social well being. For daughters, father is the ideal man in the world and also the first man they adore, while for sons, father is an idol and the strongest man they aspire to emulate.